In December 2016, Toronto formally kick-started a process to develop and implement a resilience strategy, in partnership with 100 Resilient Cities (100RC). At the Agenda Setting Workshop, a variety of stakeholders from City government, the public, private and NGO sector were introduced to 100RC and key resilience-building framework and concepts. The day began with introductions from Mayor John Tory; City Manager, Peter Wallace, and 100RC's Chief Operating Officer, Elizabeth Mercer. The Mayor and City Manager spoke to the stresses and shocks Toronto faces, now and into the future. They also acknowledged Toronto's strengths and opportunities to better integrate efforts to tackle problems holistically and across silos. Toronto's search for a Chief Resilience Officer (CRO) was also announced at the event. Olivia Stinson from 100RC, participants worked through a variety of exercises and modules to identify issues, priorities and interdependencies that must be addressed in the development of Toronto's strategy. 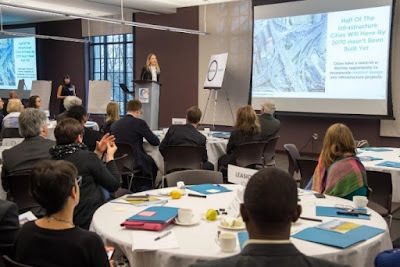 Participants worked to define what resilience means in the city of Toronto, the shocks and potential stresses that we must address, the city's strengths and challenges, and the interdependencies and potential impacts of these stresses and shocks on residents, businesses and our quality of life. Sharon Avery, President & CEO of Toronto Foundation facilitated a discussion with Elizabeth Mercer and Chicago's Chief Resilience Officer, Aaron Koch. The discussion focused on the importance of collaboration, broad participation by new and diverse stakeholders, and the need to be bold and creative in the development of Toronto's strategy. The City, with 100RC and our strategy partner, Perkins+Will have taken the wealth of information and data provided by participants and processed that information. A summary of the findings from the Agenda Setting Workshop are available here. 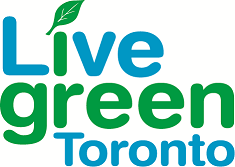 The perspectives and information collected will contribute to a holistic view of Toronto's current state of resilience and pave the way for further development of Toronto's resilience strategy over the next six to 12 months once Toronto's CRO comes on board. The process to hire Toronto's new CRO, a position fully funded by 100RC, is well underway. Stay tuned for more details coming very soon.